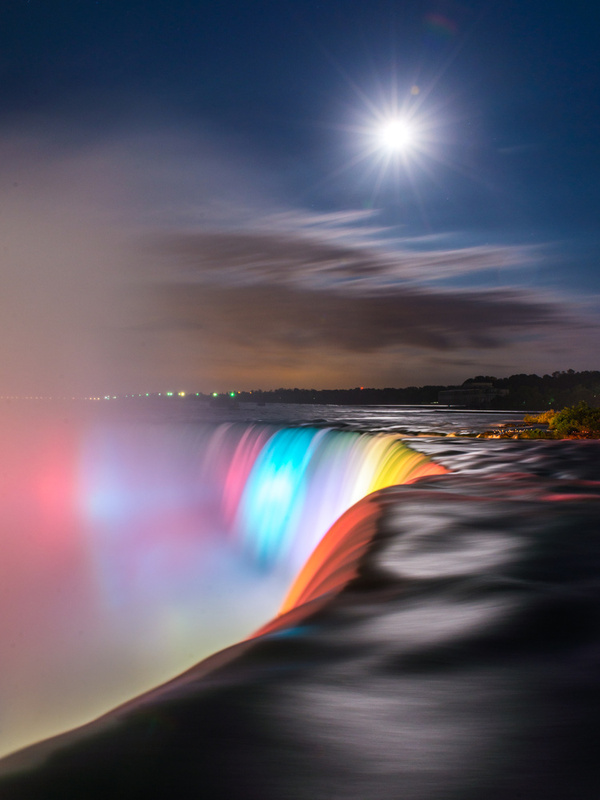 Niagara Falls is a cool place, but it's much cooler during night. There is no other visitors around and the colors really come alive. These rainbow colored lights were on until 12pm.